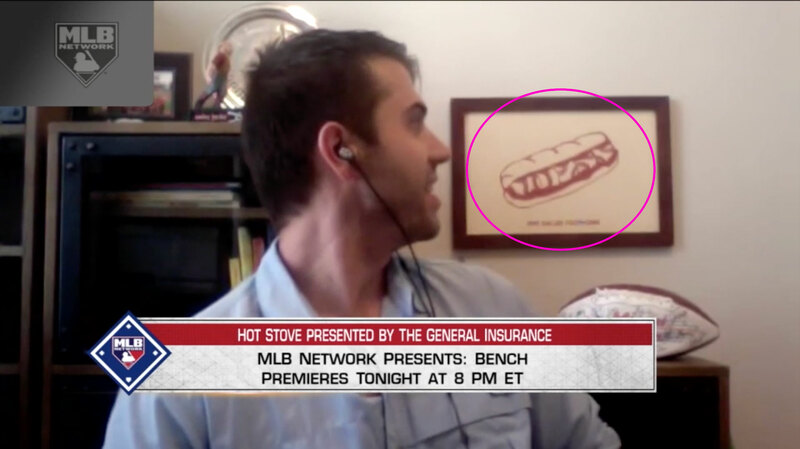 In a recent interview on the MLB Network’s Hot Stove with Bobby Bench, son of Johnny Bench, a piece of artwork became a topic of conversation. Bobby Bench was asked about the eye-catching artwork on the wall behind him. 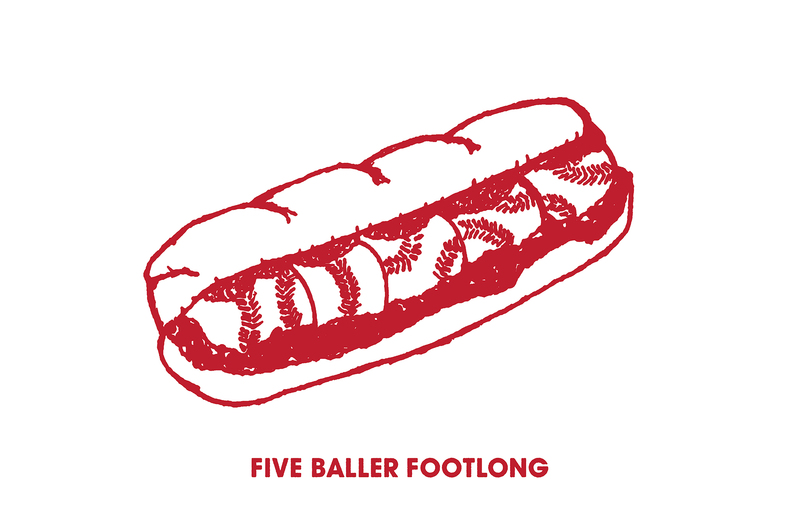 Bobby mentions the artwork—Five Baller Footlong, by Creative Director Zach Evans—was purchased at our very own 199C event last year. 199C is an art show and celebration of our Cincinnati Reds. The theme for 2018 was “The Big Five” which honored Johnny Bench. The Cincinnati Reds retired Johnny Bench’s number 5 in 1984. Bench had 2,048 hits for a .267 career batting average with 389 home runs and 1,376 RBI during his 17-year Major League career, all spent with the Reds.